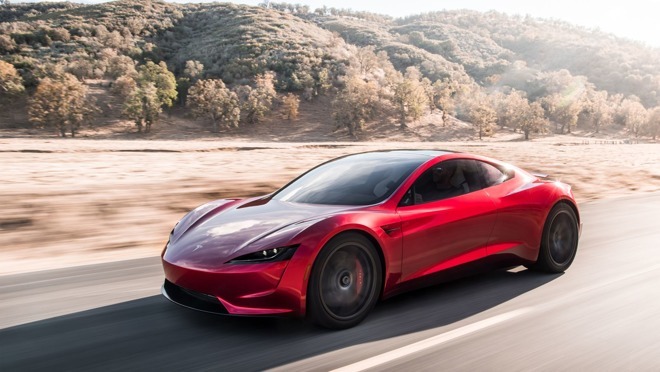 Elon Musk's Tesla has debuted its semi truck that was previously expected with a 500 mile range between charges, and also unveiled a new roadster capable of going 620 miles —with the ability to go zero to 60 miles per hour in 1.9 seconds. Tesla unveiled the Tesla Semi at the event, with CEO Elon Musk describing it as "designed like a bullet." The truck has a 500-mile range, and can use one of the company's Megacharger locations to give it a 400-mile charge in 30 minutes. Other technologies included in the Tesla Semi include Enhanced Autopilot like in the rest of the Tesla line of vehicles. 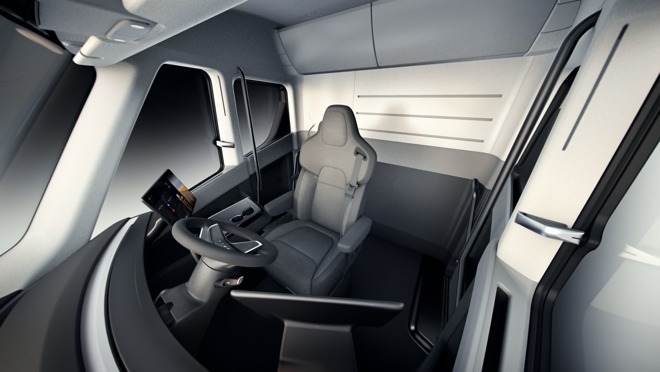 Drivers benefit from a large interior with a centered driver position, as opposed to one offset to the left like the rest of the U.S. trucking industry. The Tesla Semi has four motors, with only two required to keep the truck on the road. Musk guarantees that the vehicle will not break down for a million miles —but what exactly that guarantee encompasses is not clear at this point. 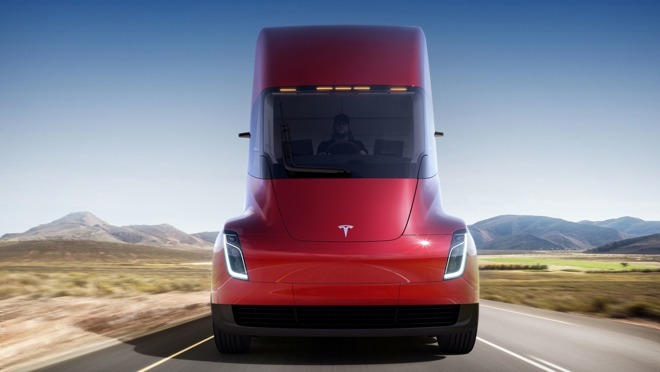 Tesla claims that the truck can go from zero to 60 miles per hour in five seconds when empty, and in 20 seconds when loaded with 80,000 pounds of goods. Pricing and specific availability is not yet known. According to Musk, the new Roadster will be "the fastest production car ever made, period." Little else is known as far as concrete details at this point —but the car will finish a quarter mile from a stop in 8.9 seconds. The vehicle has four seats for passengers. Pricing for it is not yet available.